Beginning in 2010, central banks around the world turned from being net sellers of gold to net buyers of gold. Last year they collectively added 483 tonnes—the second largest annual total since the end of the gold standard—with Russia and China accounting for most of the activity. 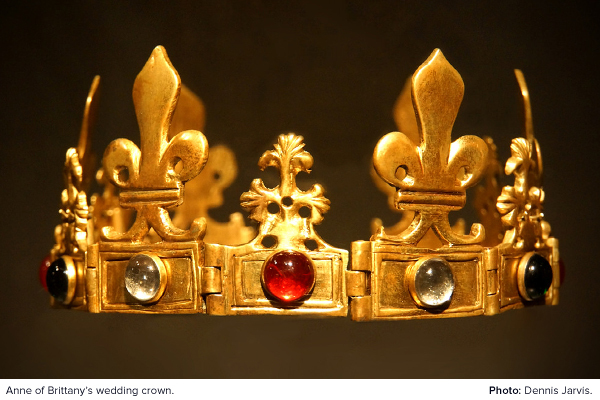 The second half of 2015 saw the most robust purchasing on record, according to the World Gold Council (WGC). Not every top bank is a net buyer. The Bank of Canada has liquidated close to all of its gold, mainly in coin sales, while Venezuela is in the process of doing the same to pay off its debts. But most of the world’s central banks right now are accumulating, holding and/or repatriating the precious metal. As of this month, they reportedly owned 32,754 tonnes, or about 17.8 percent of the total amount of gold ever mined, according to the WGC. It’s worth noting that this global gold-buying spree coincides perfectly with the rise of unconventional monetary policies following the financial crisis—massive bond-buying programs, rapid money-printing schemes and near-zero or, in some cases, negative interest rates. The jury’s still out on whether these measures have been a success or not, but for now, it appears as if banks are hedging against their own policies. Investors would be wise to do the same. Confidence in central banks’ ability to stem further economic deterioration continues to deflate. 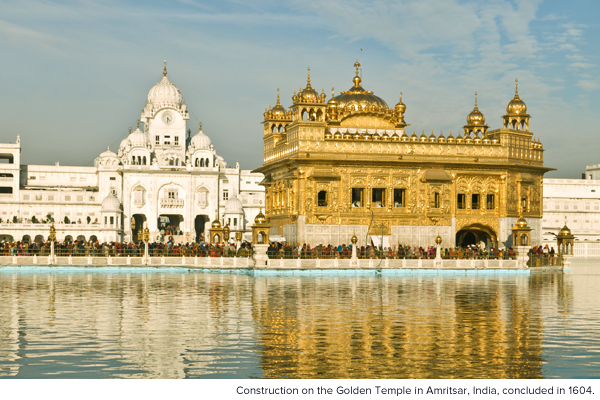 It’s no surprise that the Bank of India has one of the largest stores of gold in the world. 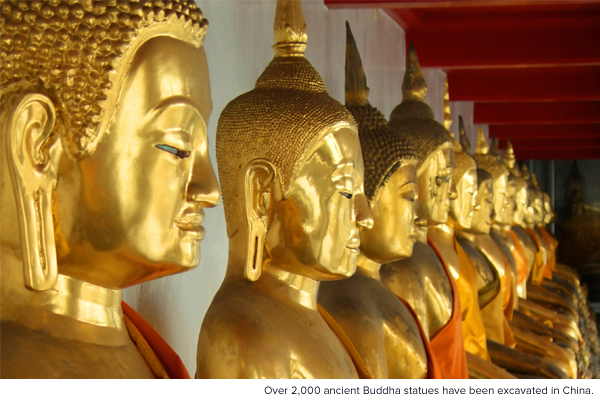 The South Asian country, home to 1.25 billion people, is the number one or number two largest consumer of the precious metal, depending on who you ask, and is one of the most reliable drivers of global demand. India’s festival and wedding season, which runs from October to December, has historically been a huge boon to gold’s Love Trade. 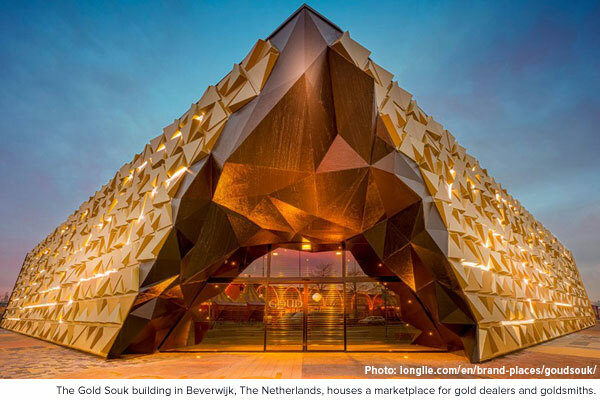 The Dutch Central Bank is currently seeking a suitable place to store its gold while it renovates its vaults. 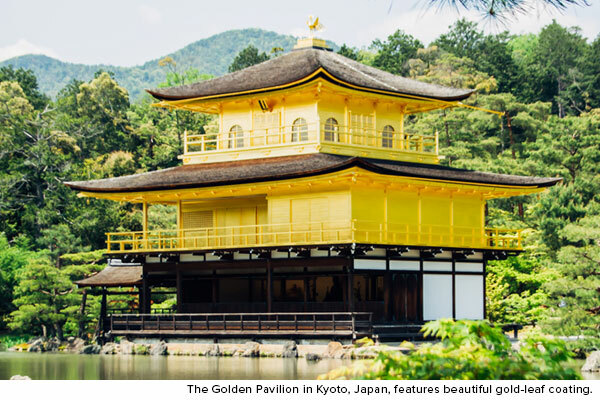 As many others have pointed out, this seems odd, given that the bank fairly recently repatriated a large amount of its gold from the U.S.
Japan, the world’s third largest economy, is also the eighth largest hoarder of the yellow metal. Its central bank has been one of the most aggressive practitioners of quantitative easing—in January, it lowered interest rates below zero—which has helped fuel demand in gold around the world. 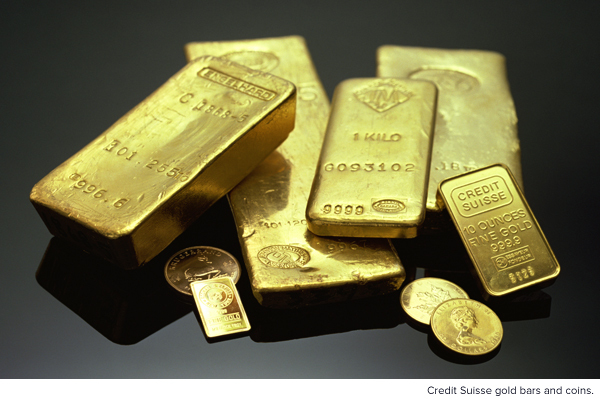 In seventh place is Switzerland, which actually has the world’s largest reserves of gold per capita. During World War II, the neutral country became the center of the gold trade in Europe, making transactions with both the Allies and Axis powers. Today, much of its gold trading is done with Hong Kong and China. Just last quarter, the Swiss National Bank posted a $5.9 billion profit, largely a result of its sizable gold holdings. 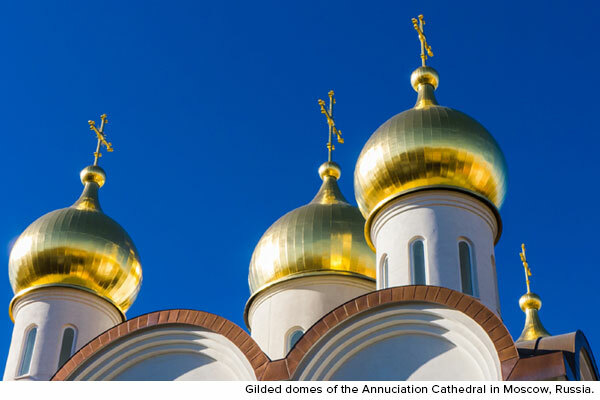 Russia has steadily been rebuilding its gold reserves in the last several years. In 2015, it was the top buyer, adding a record 206 tonnes in its effort to diversify away from the U.S. dollar, as its relationship with the West has grown chilly since the annexation of the Crimean Peninsula in mid-2014. To raise the cash for these purchases, Russia sold a huge percentage of its U.S. Treasuries. In the summer of 2015, the People’s Bank of China began sharing its gold purchasing activity on a monthly basis for the first time since 2009. In December, the renminbi joined the dollar, euro, yen and pound as one of the International Monetary Fund’s reserve currencies, an expected move that required the Asian country to beef up its gold holdings. (The precious metal represents only 2.2 percent of its foreign reserves, so it’s probably safe to expect more heavy buying going forward.) And in April, China, the world’s largest gold producer, introduced a new renminbi-denominated gold fix in its quest for greater pricing power. Italy has likewise maintained the size of its reserves over the years, and it has support from European Central Bank (ECB) President Mario Draghi. 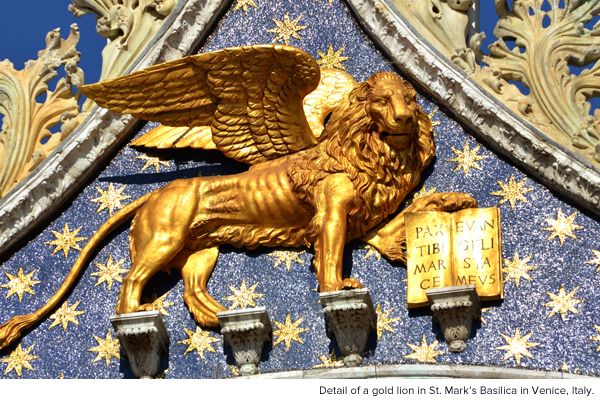 The former Bank of Italy governor, when asked by a reporter in 2013 what role gold plays in a central banks portfolio, answered that the metal was “a reserve of safety,” adding, it gives you a fairly good protection against fluctuations against the dollar. Like the Netherlands, Germany is in the process of repatriating its gold from foreign storage locations, including New York and Paris. Last year, the country’s Bundesbank transferred 210 tonnes, and it plans to have the full 3,381 tonnes in-country by 2020. 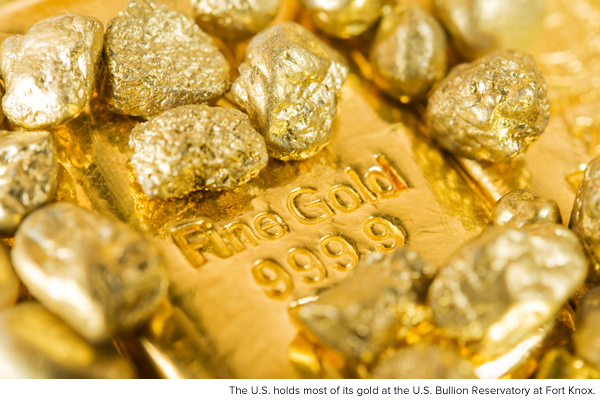 With the largest holding in the world, the U.S. lays claim to nearly as much gold as the next three countries combined. It also has one of the highest gold allocations as a percentage of its foreign reserves, second only to Tajikistan, where the metal accounts for more than 88 percent. Donald Trump made headlines recently, claiming “we do not have the gold,” but from what we know, the majority of U.S. gold is held at Fort Knox in Kentucky, with the remainder held at the Philadelphia Mint, Denver Mint, San Francisco Assay Office and West Point Bullion Depository.